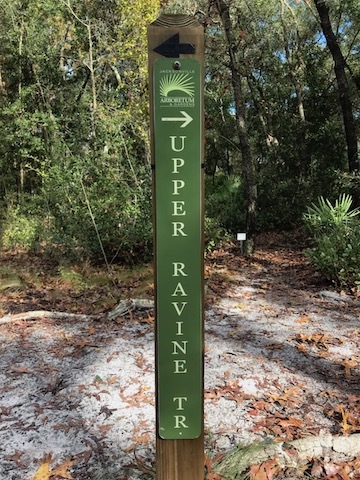 Organization: Jacksonville Arboretum and Gardens, Inc.
Jacksonville Arboretum & Gardens is in need of 100 new trail signs, 4x4 posts, and the hardware to install the signs. The sign materials and printing would cost $850 and the sign posts and hardware would run $140. To rent an auger to install some of the posts (some can be done by hand) would be $53 for a total cost of $1043. A $500 contribution has been received towards this project and with community support, we are looking to raise an additional $543 to fully fund this project.